Ep. 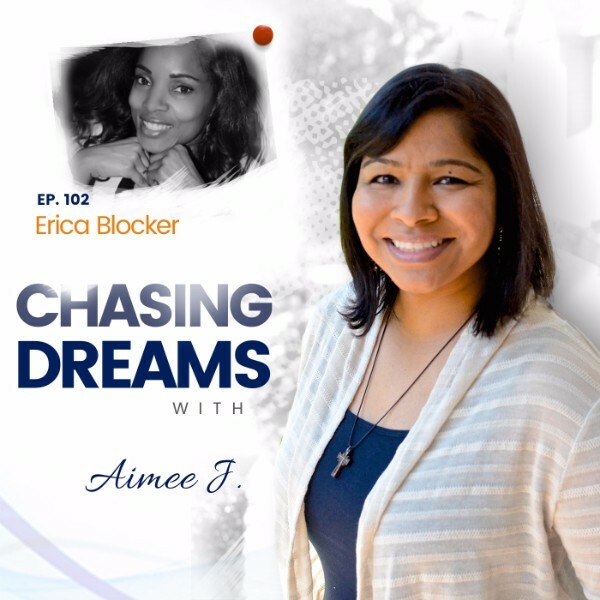 102: Erica Blocker – Chasing Dreams While Being a Mom | Aimee J.
Erica Blocker, MA, CPC, is a bestselling author, educator, Success Strategist, CEO of Moms With Dreams University, inspirational speaker, and host of the Moms With Dreams podcast. Erica teaches women how to pursue their passion, discover their purpose, and do what they love in the midst of a busy life, motherhood, and a career without feeling guilty or selfish. She believes that you can create anything you want in your life when you know what you want and are willing to go after it. Her mantra is: Reclaim your dream. Do what you love. Make a difference. 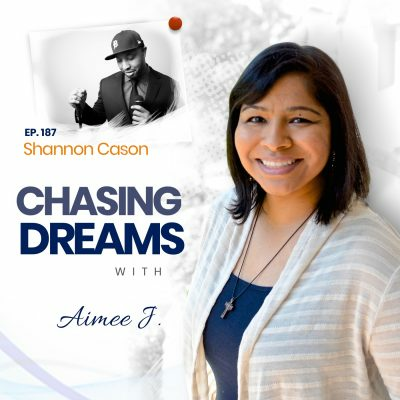 Talking to @Momswithdreams - “This was my chance to start over and rewrite my story.” Listen in! Are you a busy mom who feels guilty for having your own dreams? Erica shares her personal story of being a teen mom who thought she might never have the chance to do what she wanted to do. After a bad divorce, she felt that she had been so entrenched in the roles of wife and mother that she had totally lost her sense of self. She calls it her “re-self-discovery” when she figured out what she wanted to do with her life, and she knows many moms are going through the same thing. If you feel challenged by motherhood, you don’t want to miss Erica’s message to YOU! Do you sometimes feel worn out, depleted, and like there is NOTHING left in your tank? We all have times when we feel this way, but you can change your situation! Like most moms, Erica struggled with balance in her life as she tried to be the “perfect” mom. She finally realized that she had to take care of herself first, and that self-care HAD to become a priority. Listen to her advice about tracking and reallocating your time each week to find time for YOU! Don’t we all want someone who understands and has solutions to our problems? Part of the problems most moms face is feeling alone, like no one else is going through what we are. The reality is that moms across different countries and cultures all struggle with the same motherhood issues! Erica offers support for all moms and all challenges through Moms With Dreams University. The courses provide a holistic approach to personal and professional development so you CAN move forward in motherhood and in chasing your dreams. NO dream is too big! 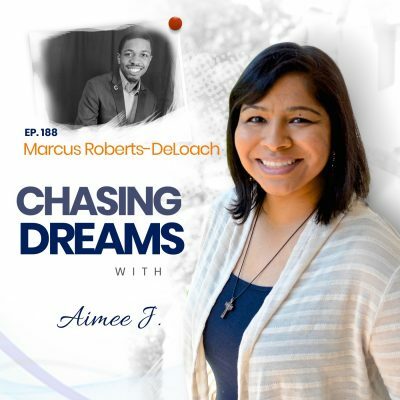 Guest Recommendation: ONE action for a dream chaser to take—“ Get clear on what YOU really want. Don’t make it about anyone else but you. Being influenced by others around us is often what holds us back from our dreams. Reclaim your dream and BELIEVE! [8:31] Are kids afraid of being blamed for mom not going after her dreams? [9:55] Is THIS your dream? [24:48] Is it too late for my dream?